JB Mechanics is an expert Mobile Mechanic well equipped and with the latest technology based in North West London. Operating with a low cost base enables us to pass savings to our clients and therefore gives very competitive pricing. We provide a personal service at your doorstep - whether at home or at your work place - no need for you to travel. We also provide a car collection service, arrange MOTs & bodywork etc. and repairs to all makes and models of vehicles. equipment to help keep your vehicle running at its top performance and efficiency. We provide a cost effective and efficient first class service to all our customers. JB Mechanics is based in North West London (Harrow) and will provide a friendly, affordable, professional service with great value. Our objectives are to provide our customers with the highest standard of service and customer care. We use high quality parts and the latest diagnostic testing equipment to help keep your vehicle running at its top performance and efficiency. We provide a cost effective and efficient first class service to all our customers. 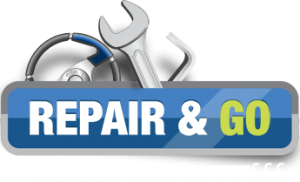 Our motto is to service and repair the vehicle to the highest professional standard at a fraction of the cost. Save 10% on your Full Service booking at JB Mechanics. Simply book it at a date and time to suit you. *10% Offer can only be used when carrying out a Full Service.